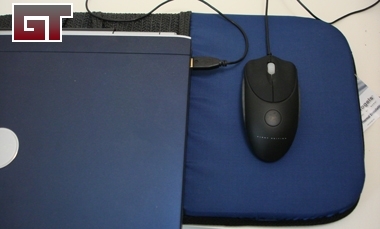 "The first LapDesk to incorporate Aerogel insulation, the G800 sets the standard for heat protection. Fabricated by by Aspen Aerogels� using nano-technology, Aerogel insulations holds 15 records in the Guiness Book of World Records - including the best thermal insulation known to man. Up to 8x more effective than other insulators, Aerogel bring the insulation used on the Mars Rover and StarDust interplanetary probe to high end gamers, graphics artists and other extreme laptop users. If you need the best, this is where your search ends." So how does it stack up? Let's take a look. New The first LapDesk with Aerogel Insulation for ultimate heat protection! Featuring Aspen Aerogel�. C�R Thermal Technology� which blocks all forms of heat transfer - convection, conduction and radiation. New Integrated laptop thermal channels keep your CPU running cooler. No-Slip surface both sides allows you to use your laptop in almost any postion and any angle. 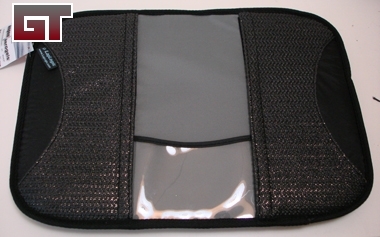 New Transparent pocket holds CDs, DVDs, business cards. 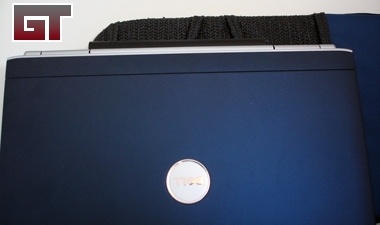 Rigid structure supports your laptop comfortably. 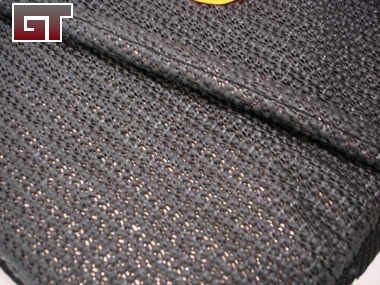 Metallic accents on front and back. Above is the side that sits against your lap. 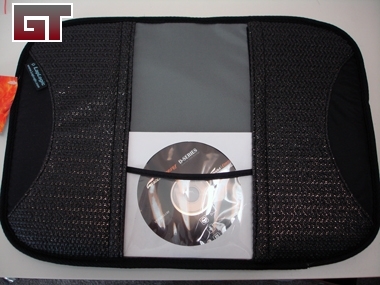 There are pocket for your CD storing needs. 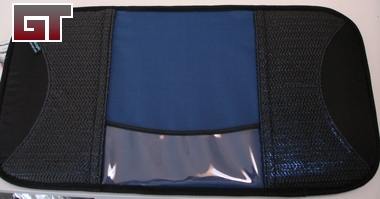 Below is the side that the laptop sits on and has ridges for air flow. 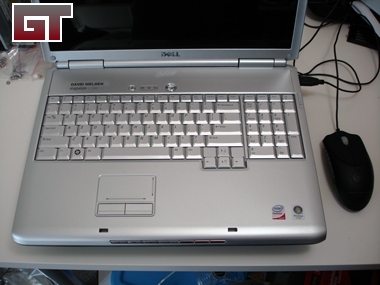 The W800 comes with a smaller laptop space but also inculdes a mouse pad. The other side has the cd sleeve and looks the same. I placed a driver disk I had sitting on my review desk into the pocket for size comparason. Next lets see how the well it fits with my Dell Inspiron 1720 Laptop. The 1720 is a 17" wide screen with a full size keyboard and number pad. The laptop peeks through on the corners of the G800. Placing the laptop on top of the pad actually covers up the entire Aerogel Extreme. Looking down from the side you are able to see the pad below the laptop. 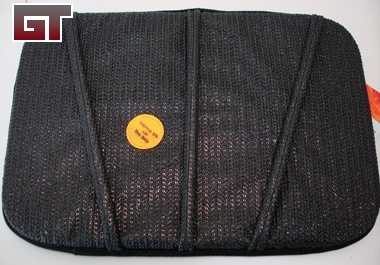 The cooler is designed to keep all heat away from your legs and other vital body parts. I did have more of an issue with the laptop tipping over on a couch - it does make it a bit top heavy with the screen up. 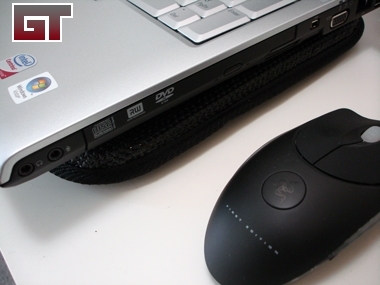 The W800 comes with a small mousing surface, for times when you want to use a mouse and not the touchpad. 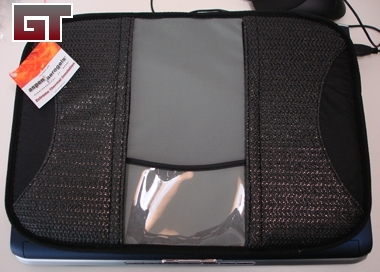 The W800 is more for smaller laptops as the protective surface you have for your laptop is not made for a 17" laptop. My 1720 hangs off by 4" as you can see below. It is still usable, but I found myself more at a angle to the screen and keyboard. If you plan to slide your 17" over, you lose valuable mousing real estate. For maximum usability, a 15.4" would be best for the W800. Overall the Laplogic G800/W800 laptop cooler is great at what it does -- keeping your lap nice and cool. I used both of the coolers from time to time over the last few weeks. The G800 was small enough to stuff into my laptop bag and take with me on a trip. The W800 was nice to use when watching tv and working on editing some pictures. The W800 would definitely be a better fit for a 15.4" laptop. I never felt any heat against my legs with these coolers and I know my laptop does get warm on it's own. I gave it a shot without the pad and I had to remove it after a few minutes. There really is a big difference when you pair up with the Aerogel Extreme. Thanks to LapLogic for sending over these samples!